Fevers, nighttime coughs and the flu can be overwhelming and downright scary for parents. How do you know when to take your child to the doctor or the emergency room? What can you do if your child’s fever is still high after you medicate? How can you put a stop to the coughing that seems to happen all night long? And should you still get your child the flu shot, even though flu season is nearly over? We teamed up with Dr. Katie at Forever Freckled to host a Facebook live chat to get these answers and more! Dr. Katie is a pediatrician, mom and blogger, and she shared some important tips for parents. Read some of them below and see the rest by watching our live event on Facebook. This information is not intended to be medical advice. If your child is experiencing fever, cough or flu-like symptoms, please consult with your pediatrician. Fever is not necessarily dangerous – it’s simply our body fighting off a virus. However, fever can make you feel bad, which is why we control it with fever-reducing medications. You don’t necessarily need your child’s fever to be a regular temperature, but you do want your child to feel well enough to drink and stay hydrated. If your child will not take fever-reducing medicine, you may want to explore the use of suppositories. These can be very helpful in keeping a fever down, especially in kids that refuse medication. Post-nasal drip caused by congestion and gravity can make you and your kids cough at night when you lay down. If your child is over the age of one, offer some warm water, lemon and honey before bed. Honey can help suppress cough. Use nasal spray regularly to help ease congestion. 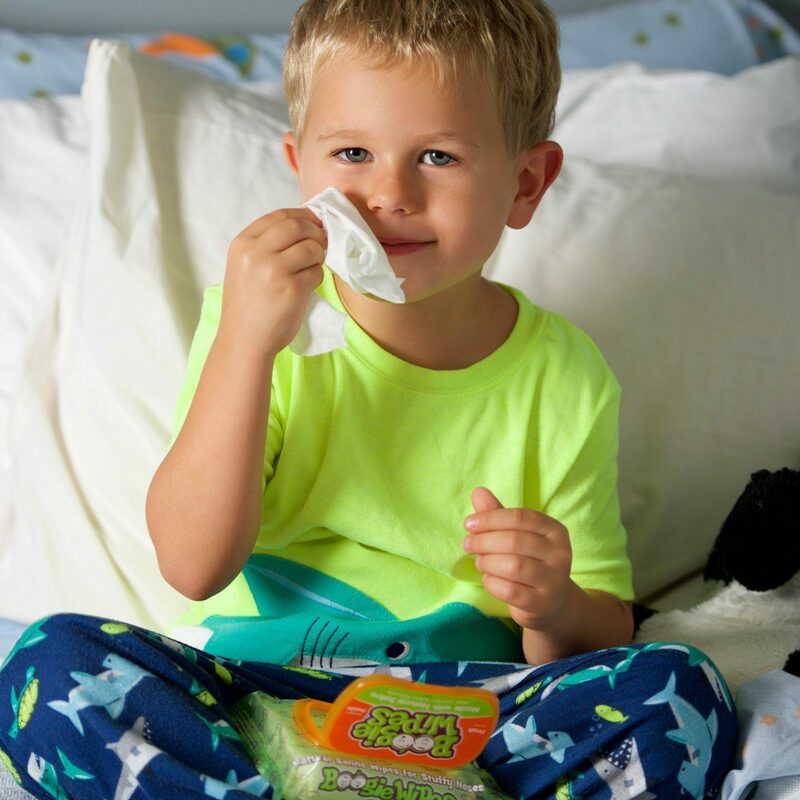 Boogie Drops® Saline Nose Drops are specifically designed for infants age 0-2, featuring a specially designed tip for controlled dropping and easy dosage control. For older kids, use Boogie Mist® saline mist. Click here to grab a coupon for both products. Use a humidifier in the bedroom your child is sleeping in. Click here for more great nighttime cough tips from Dr. Katie. If you haven’t had the flu shot yet, you might want to consider getting it. Not only can it help prevent you from getting the flu, it can also help lessen the complications if you DO get the flu. Even if you’ve already had the flu this season, you can still get it again. There are several strands of the flu. Typically, the flu presents with high fever (102 or higher), severe body aches and exhaustion. You may also have symptoms of congestion, sore throat and/or vomiting. If your child is experiencing any of these symptoms, check in with your doctor. You can watch our full interview with Dr. Katie below, or click here to watch it on Facebook.